Timed trials are nothing new in the world of Fortnite Battle Royale, but this time they're high up in the sky, and only accessible via the X-4 Stormwing plane. In this Fortnite Timed Trials guide, we'll be pinpointing the various Fortnite Timed Trial locations around the Battle Royale map, so you know where to head once you're in a plane. But this challenge is just one of seven brand new challenges, available to be completed in Fortnite Battle Royale right now. If you need a helping hand completing any of the other six challenges, head over to our Fortnite Week 9 Challenges guide. Firstly, you can see the list of new challenges, for the penultimate week of Fortnite Season 7, just below. We’ve got guides on how to complete some of the six additional challenges this week, and you can head over to our Fortnite Golden Balloons guide for the locations of all the balloons around the map. But now, you can see our map to all the Fortnite timed trials just below. Note that all of these need to be completed in the X-4 Stormwing plane, so to even think about undertaking any of these timed trials, you’re firstly going to need to get your hands on a plane, which can be found in Frosty Flights, and scattered throughout the surrounding icy area. 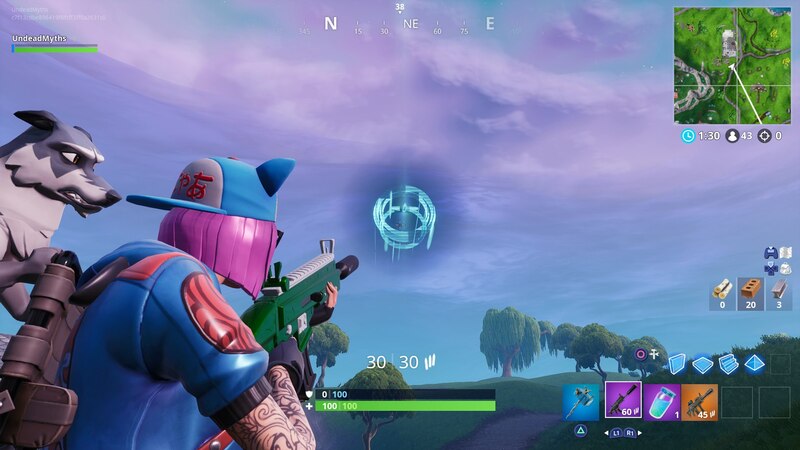 Once you’re in the plane, you need to head through any of these timed trials portals in the air. When you pass through the portal, a series of additional portals will appear ahead of you, and it’s your job to make your way through all of the portals that appear before you, before they vanish. 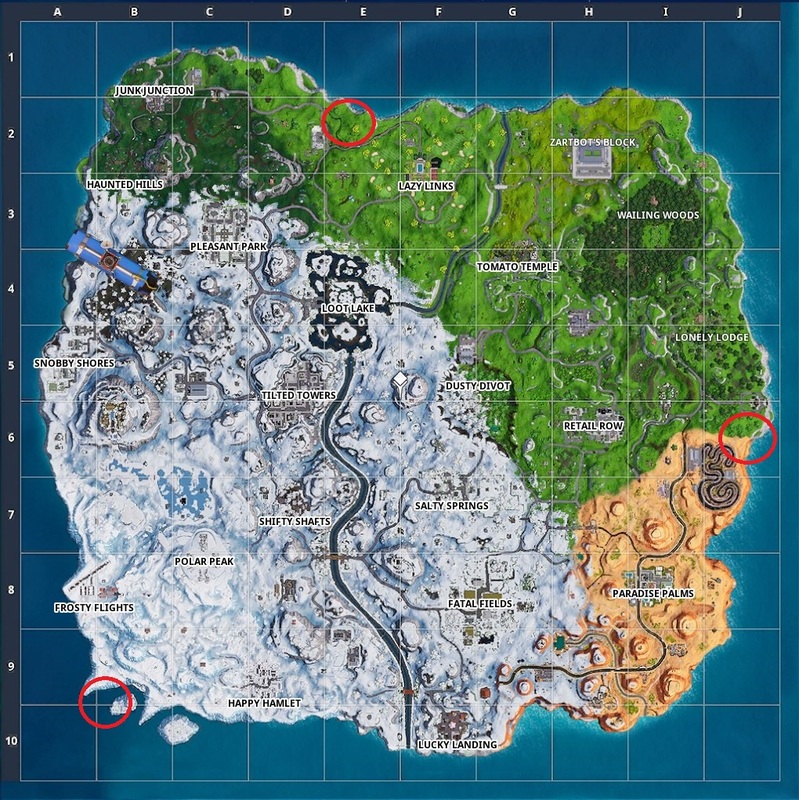 You need to do this twice, at any of the locations shown above, and you’ll have completed the challenge. Now that we’re all done here, you can check out some of our additional Fortnite coverage here at USgamer. Head over to our best Fortnite weapons guide for more.